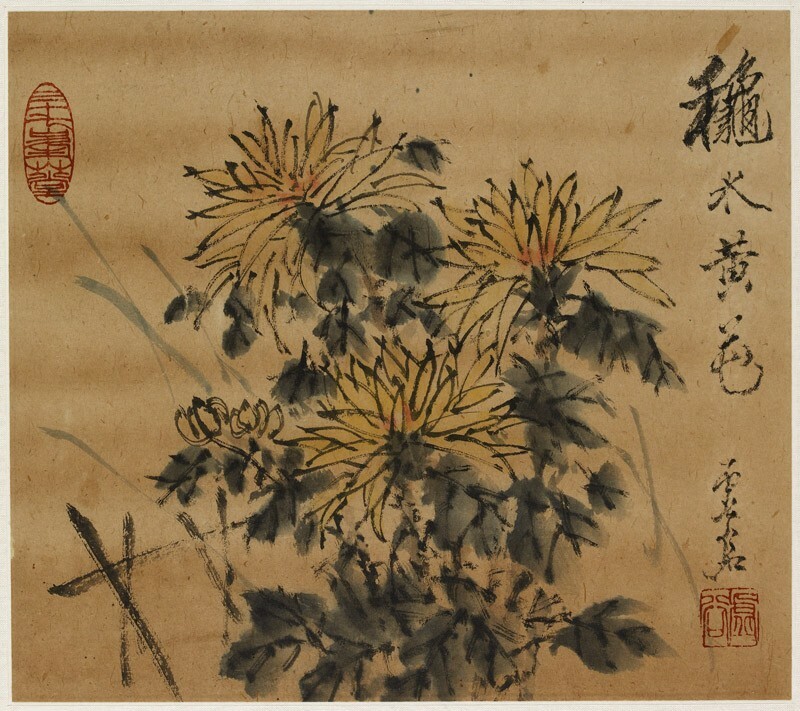 Chrysanthemum is a prominent autumn flower in Chinese gardens, and is regarded as one of the 'Four Gentlemen', symbolising unyielding spirit in adversity. It is often accompanied by hedges in Chinese paintings. The theme of this painting may relate to a famous poem by Tao Yuanming, a reclusive poet from the mid-Six Dynasties period (c.AD 220-AD 589). 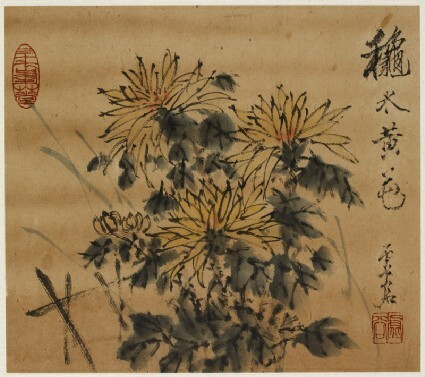 The poem descrives Tao's life after quitting government service - "I pluck chrysanthemums under the eastern hedge, then gaze long at the distant summer hills." First an army official and then a monk, the artist Xu Gu (1823-1896) was associated with artistic circles in Yangzhou, and later with the Shanghai School in the 19th century. He is renowned for his depictions of flowers, fruits, birds, and fish using the side of a dry brush, that skill is evident in this painting.